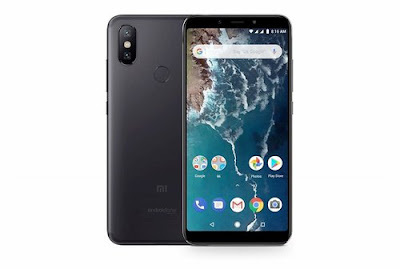 Xiaomi has launched Xiaomi Mi A2 Android One Smartphone at a Global event in Spain Now Xiaomi has announced that Mi A2 is coming to India on August 8. Mi A2 is a successor to Mi A1 smartphone. It comes with Snapdragon 660 Processor and 20MP Front-facing Camera. Xiaomi Mi A2 features a metal body and has Designed similar to Xiaomi Redmi Note 5 Pro. It 5.99-inch (2160×1080 pixels) Full HD+ display powered by Octa Core Snapdragon 660 Processor. On Camera, It has a 12-megapixel rear camera with f/1.75 aperture, Sony IMX486 sensor along with a 20-megapixel secondary rear camera with Sony IMX376 sensor to capture depth information for portrait shots with AI and 20-megapixel Sony IMX376 sensor for the front camera with soft LED flash and AI beautification Xiaomi Mi A2 Does not come with 3.5m Audio Jack and Hybrid SIM slot.Connectivity options include Dual 4G VoLTE, Wi-Fi 802.11 ac (2.4GHz / 5GHz), Bluetooth 5 , GPS + GLONASS, USB Type-C. Mi A2 is Packed with a 3010mAh Battery with Quick Charge 3.0 Support. It runs on Android 8.1 Oreo Stock Android. MiA2 will also come with Google Lens integration within the camera app. It will also be one of the first devices to get Android P later this year.